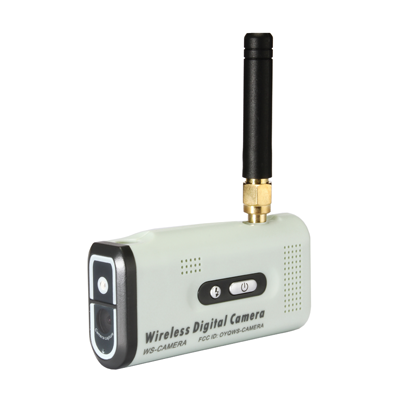 2.4GHz Wireless Digital Video Color LCD Recorder utilizes RF technology transmitting video and audio signal to the receiver. Completely digitalized and high interference resistance. It is capable of achieving straight line of sight distance for up to 1.2Km and easy to setup. When paired with Wireless Digital Video Camera it is suitable for various applications. Wireless camera transmits the video signal wirelessly to a receiver in distance. Displaying fluent video and audio on the monitors; it is a simple solution for remote monitoring and wireless visual and vocal effects. Providing Instant continuous and distortion less signals of video and audio. High quality full-color screen display pictures in their naturally color. Wireless Hopping Technology ensures signal reliability, no interference, Clear Audio and Video Reception. Display 4 Cameras at the same time; keep an eye on four locations. Built-in Microphone enables clear audio transmission. Simultaneous transmission for both video and audio, Zero Interference, Sharper and crisp image and accurate color. Built-in Lithium battery, long-time standby mode over 1 hour after fully charged. Long Distance Reliable wireless transmission ensures the distance of up to 800 meters (Straight line of sight). Low initial cost, wireless, simple installation, easy maintenance, and strong expansion capability. 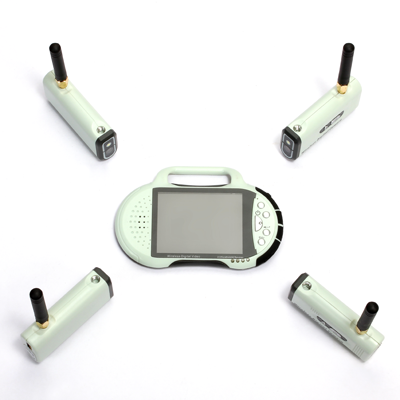 Connecting for usage right away, and adding wireless remote monitoring into network that you already have. Do not require purchasing new network or other equipment. Low maintaining fee. The network provider will be in charge of the maintaining of wireless remote monitoring. The front-end connects for usage right away and does not need maintaining system. Sending instant information from different places through wireless communication to wireless remote monitoring and it will set visual data automatically for retrieval in the future.Camera connects with wireless video transmitter and sending information signal to monitoring center through radio waves.